On a quaint little street, barely a stone’s throw away from Stamford Hill, nestled between Victorian houses is the Shaarei Mazal Tov Shul - better known as The Walford Road Synagogue. I happened upon it a few years back, as I was wandering through the side roads of Stoke Newington. Its unassuming façade hides something special, which I was only about to learn this past week. 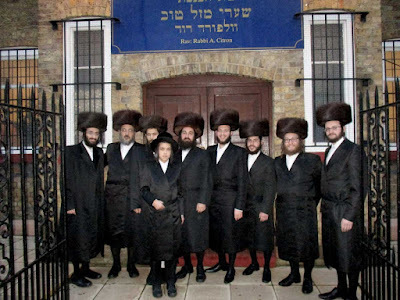 As the coordinator of Traveling Chassidim in London, I was delighted when Rabbi Avraham Citron invited us to partake in a Shabbos at his shul. I have known Rabbi Citron as my soft spoken and smile-clad neighbour, when we used to live on Forburg Road in Stamford Hill. Over the course of this past Shabbos I found out what Rabbi Citron was really up to. As soon as we entered the foyer of the shul we were greeted with overflowing warmth by the Chairman Mr Ike Albert and fellow shul members. After concluding Mincha we gathered around the Bimah in preparation to usher in the Shabbos queen. Chazzan Moshe Meislik with his melodious voice started the Kabbalat Shabbos service, which was peppered with song and dance. During the Lecha Dodi song the whole community broke out in a spontaneous dance. 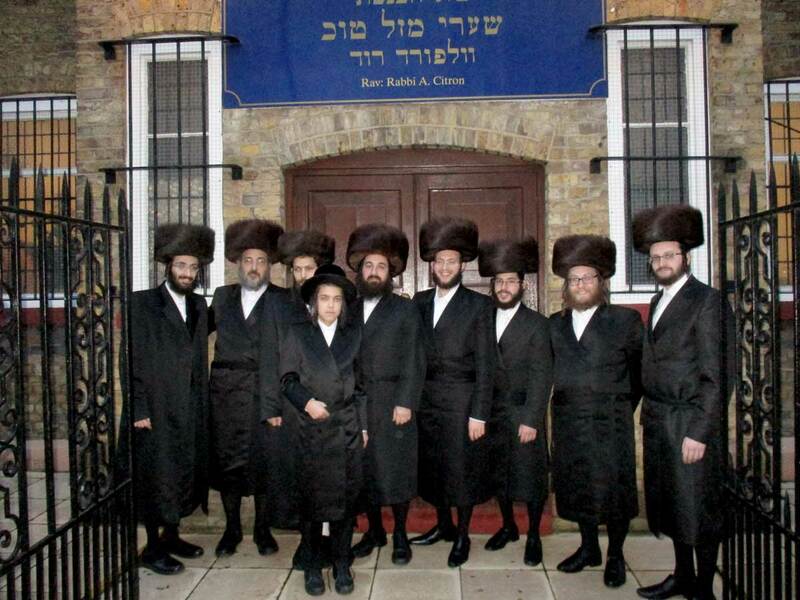 Hand in hand with the Chassidim, arms linked in a brotherly chain it was a dance of pure joy. After davening the whole community was invited to a lavish meal with song and Divrei Torah. Shacharis and Mussaf were led by The Traveling Chassidim. After davening the Shul’s Chairman Ike Albert delivered emotional words about selflessness, relaying a story of a terminally ill young child who gave his last wish to the Make a Wish Foundation, to help release a father of his classmate from prison. Tears welled up in our eyes as we felt the emotion in the room. Before we even knew it, we were up to Motzei Shabbos. Guitar slung over his shoulder, Shalom Schwartz- a fellow member of Travelling Chassidim - struck an electrifying chord in our hearts when he sang a true story that demonstrates the love of Hashem to each and every one of us. We bid our farewell to the memorable Shabbos with a musical Havdalah that was followed with song and dance. Mrs M. - one of the shuls regulars related to me that she didn’t have such a memorable Shabbos in years "you should visit my daughter’s school- they need to know what a Shabbos should feel and look like!". For us it was not just another inspiring Shabbos that we merited to be part of, it was the start of building a sturdy bridge and a lasting relationship between the Stoke Newington Community and Chassidim from Stamford Hill.